In the excitement of buying a new car, people often overlook the criticality of car loan details. It is very crucial to get your facts right when you are applying for a car loan, to avoid regretting later. Before applying for a car loan, it is always recommended to check the amount of EMI that you will have to pay using a Car Loan EMI Calculator and compare the loan deals from several banks or agencies to choose the best one. Auto Loan EMI Calculator is an easy way to plan your purchase beforehand. 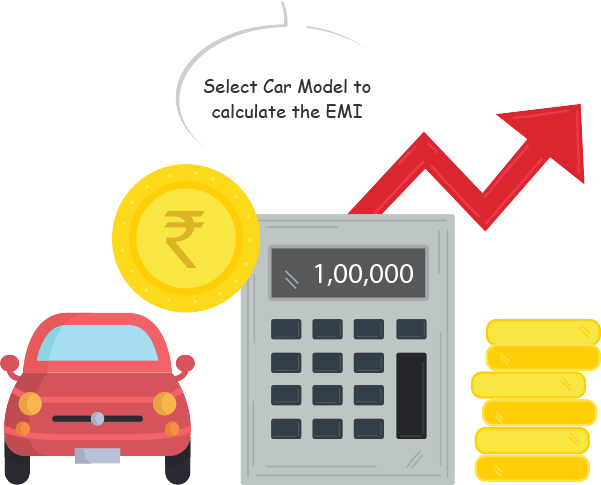 There are a few components of online EMI calculator for car loan that determine the exact EMI against your desired loan – Loan Amount, Down Payment, Interest Rate and Loan Tenure. Down payment is the upfront amount that a buyer pays at the time of car purchase. Some banks or agencies offer car loan up to 90-100% of the total cost of the car. The amount that remains after the loan percentage is to be paid by the buyer as the down payment. The more the down payment, the lesser the loan amount will be. Interest rates decide the amount of EMI that is to be paid by the buyer every month. Interest rates vary depending upon the loan tenure and type of loan chosen. It is customers’ discretion whether they want to opt for fixed or floating interest rates. Those who want a fixed EMI per month should go for fixed interest rates and those who want flexible interest rates that change as per the changing trend should go for the floating type. Longer tenure means lesser amount of monthly EMI but more final cost of the car and shorter tenure means higher monthly EMI but lesser final cost of the car. So, it is always better to opt for short tenure. The result of any Car loan EMI Calculator is completely based on the terms and conditions of the respective foundation. EMI calculators for car loan loan are not certified. The calculations solely depend on the organization’s directives, which mean that there may be diverse outcomes.